The Pre-collegiate Outreach Office works with a variety of groups whose goals are similar to ours. In some of these partnerships, POP hosts these organizations on campus. In other instances, POP is pleased to list these organizations or activities on our website to help spread the word about these activities or organizations. BattleCry is a FIRST Robotics competition that gives young engineering and robotics enthusiasts an opportunity to compete with their robots in exciting competitions, obtain awards, and hone their technical skills. This is an annual event held May. For more information, please contact the Robotics Engineering Department by email at rbe@wpi.edu. Exploradreams offers help with homework, tutoring, and mentoring, and provides some exposure to college life for children associated with Friendly House. 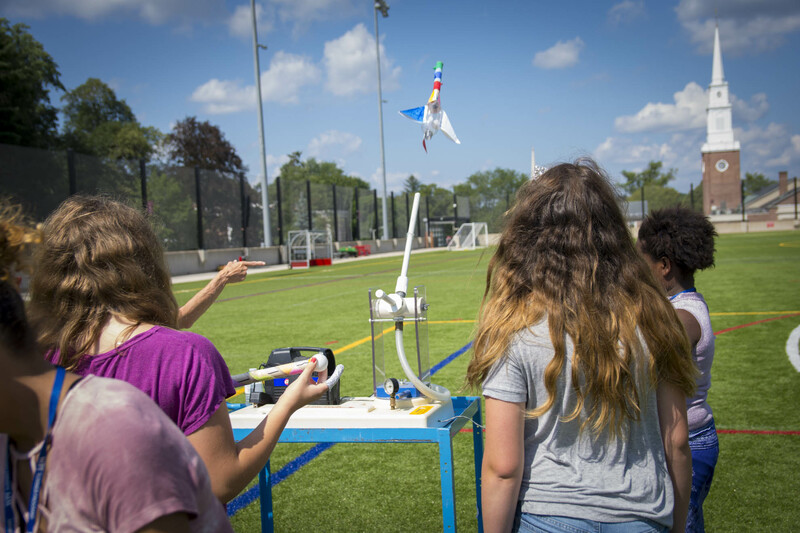 WPI partners with school districts, neighborhood youth organizations and teachers to develop programs and activities designed to engage students and promote their intellectual development. This is for children, ages 8 - 13 years old. For information, contact execdreams@wpi.edu. This is a one-day STEM exploration event held in October. It is sponsored by the Girl Scouts of Central and Western Massachusetts. Pre-Collegiate Outreach Programs is the official liaison, and this program is available to middle school and high school girls. SPLISH is a fun, hands-on learning program for children in grades 5-8, featuring workshops presented by Massachusetts Academy of Math and Science students under the guidance of Mass Academy faculty. This is a half day program which runs during April school vacation. For more information, please contact Mass Academy by email at mams@wpi.edu or by phone at 508-531-5859.